Sunday, January 28th from 10:00 a.m. until 2:00 p.m.
Bring a snack to pass on Friday. Spots are filling fast and seats are limited so sign up early!! 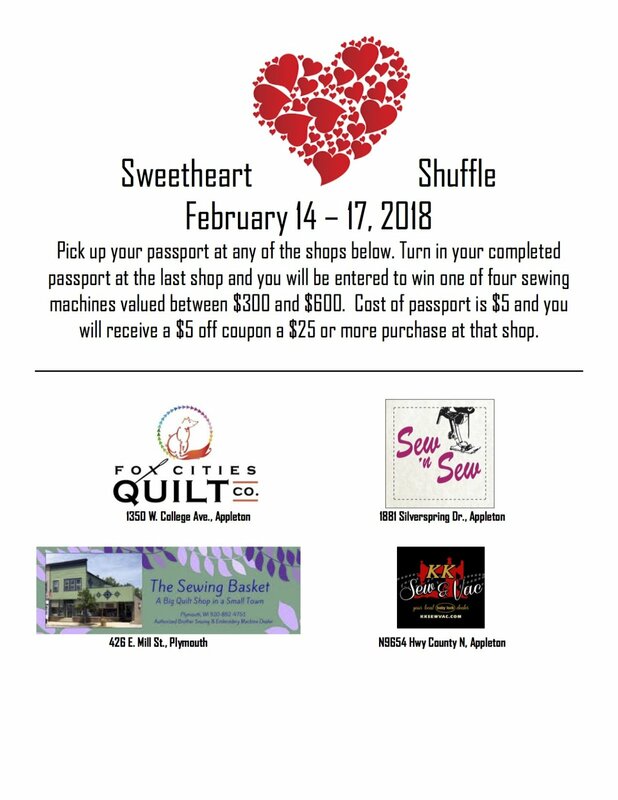 We have revised our Sweetheart Shuffle just a bit. One shop needed to step out due to health issues, so now, just visit FOUR shops for your chance to win one of FOUR sewing machines! How sweet is that?